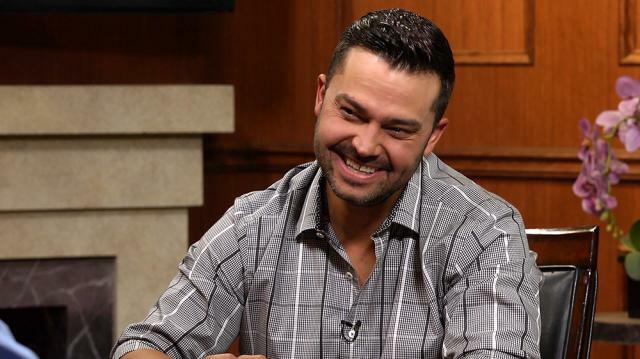 Larry welcomes 2009 World Series champ Nick Swisher for a wide-ranging conversation about his all-star career, including his famed stint with the New York Yankees, the current state of MLB baseball, and life in retirement. Larry King interviews Nick Swisher, an MLB All-Star and World Series champion who played for five different franchises, including the New York Yankees, White Sox, and Braves, during his 12-year career. Swisher retired from professional baseball in early 2017, and is now a Fox Sports MLB Game Day analyst and host, as well as an announcer for the second season of NBC’s ‘Spartan: Ultimate Team Challenge.’ Swisher talks about how baseball has given him everything he has, and that he will try to give back to the game. Larry asks if Swisher misses playing, and Swisher says he always will, though he will also miss the camaraderie, commenting that signing on with Fox made him feel like part of a team again. He recounts his early career, talking about being approached by younger players and riding on buses. Larry inquires about a high point of Swisher’s career, winning the World Series. Swisher is thankful for the opportunity to even play for the Yankees after his rough year in Chicago, and reminisces about playing in a new stadium. When asked why Brian Cashman called him to the Yankees even after his bad year with the White Sox, Swisher says they both felt he would have a good bounce back year. Larry asks how Swisher explains his bad year, and Swisher talks about trying to change his swing and practicing with a different hitting coach. Swinging from baseball to Swisher’s current opportunities, Larry asks about ‘Spartan: Ultimate Team Challenge.’ Swisher describes the show as similar to ‘American Ninja Warrior,’ in that there are team challenges and races. Swisher is also comfortable in his analyst position for Fox Sports, in which he tries to get people excited for baseball. Larry asks for Swisher’s emotions about his former teammate, A-Rod, and Swisher talks about being blessed to work with an intelligent and talented player. Asked what he makes of the Yankees now, Swisher replies it’s been a lot of fun to watch and the team is doing amazing. Larry questions if Swisher would like to coach or manage a team, and Swisher doesn’t know yet. For now, he wants to focus more on his family.